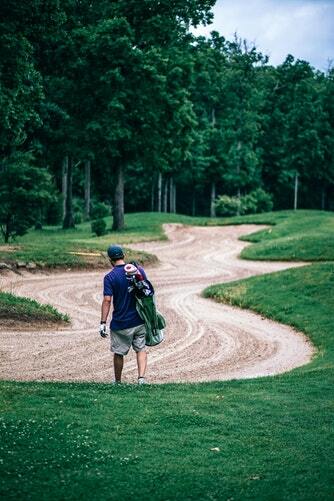 For golf enthusiasts, every piece of equipment has a notable impact on their performance on the course. Some golfers shell out a significant amount of money to buy another $200-$500 driver model with game-changing technology. If you’re looking for a great investment, you might want to check out the forthcoming Callaway Big Bertha Hybrids. Callaway Golf Company is a top-notch manufacturing group from the United States. They develop some of the highest quality drivers available in the industry today. In 1991, one of the most well-known clubs from Callaway for golfers was the “Big Bertha” Driver. It was named after the howitzer, a massive German gun from World War I. The basic principle behind its development is to place more weight around the perimeter of the club head to get more momentum behind the ball— kind of like that 47-ton gun. The primary goal of Callaway is to increase ball speed and distance with more accuracy. As seen before in retail, Callaway incorporated the innovative Jailbreak Technology. It achieves fast ball speeds and explosive distance with a pair of internal bars throughout the body. This technology was used in the Epic and Rouge driver models as well. However, these previous products have no adjustable hosel which can boost the performance of just about every golfer on the course. Callaway incorporated both technologies to produce a hybrid driver which offers long distance and full adjustability. Designers at Callaway encountered two main difficulties in the design: One is to add weight and two is to lower the center of gravity. For mid and high handicap golfers, the ideal center of gravity should be low to improve ball flight. Callaway designed a shorter and lighter adjustable hosel system for ample forgiveness. It also promotes a fine-tuned launch and faster ball speeds with more accuracy. Callaway first introduced Jailbreak Technology in Epic and Rouge product line. It instantly gained popularity among Tour players and lay golfers alike. It provides faster ball speeds and is more accurate, even at long distances. To achieve the goal, they decided to combine two innovative technologies – Jailbreak and the OptiFit Hosel. The Big Bertha Hybrid is equipped with high Motion of Inertia (MOI) technology. Moreover, it provides the golfers of any skill level an appealing, exceptionally forgiving club. Equipped with the ultra-thin, Carpenter 455 Steel Face, the Callaway 2019 Big Bertha Hybrids promote secured speed. It applies across the entire face area to allow long distance drives with center and off-center hits. The Callaway Big Bertha Hybrids will retail $269.99 with choices between the UST Mamiya Recoil ESX or ZT9 graphite shafts. Check out Callaway Big Bertha Hybrids available at 18°, 21°, 24°, 27°, and 33° lofts at JD’s Clubs today!